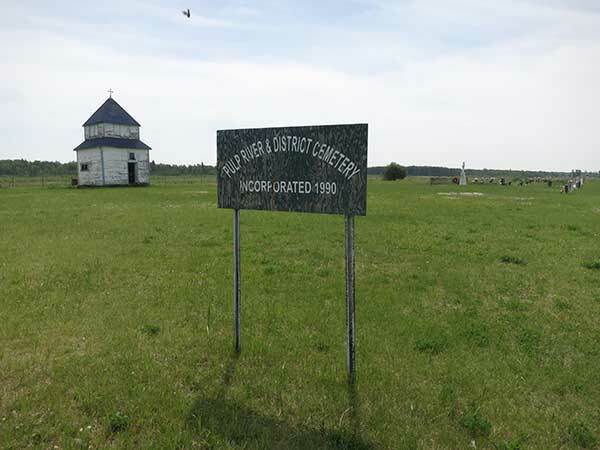 The first burial in this cemetery near the community of Pulp River in the Rural Municipality of Mountain occurred in 1908. A bell tower in the cemetery was removed from the grounds of a nearby, now vacant, church. We thank Jeff Thiele for providing additional information used here.